A few things come to mind at the mention of a jet pack. The Jetsons come first, and then this hilarious video, in which Fox 5 News embarrasses itself with a water-propelled jet pack. But what if I told you that we’re about a year away from the first legitimately available jet pack for sale? It’s true. Martin Jetpack, a New Zealand-based company, has just revealed the latest prototype of its jet pack, which is promised to be available in mid-2014. 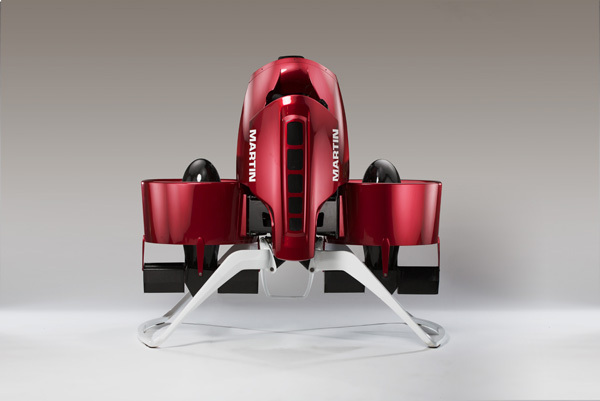 Though the name suggests otherwise, the P12 Jetpack is actually propelled by ducted fans, powered by premium gas. Founder Glenn Martin has been working on building a jet pack for the last 30 years, starting in his parents garage. The P12 marks the 12th iteration of his dream, and the closest version yet to commercial availability. Unfortunately for the (incredibly wealthy) average Joe, Martin will be releasing the Jetpack to first responders like policemen and firemen before bankers, NBA players, oil tycoons, etc. will have their chance at a purchase. However, Martin says the jet pack should be commercially available to anyone (who can afford it) by 2015. As for pricing, it’s predictably high. The Martin Jetpack will cost anywhere between $150,000 and $250,000, excluding the cost of premium gas as well as any costs associated with getting a sports license in the U.S., and purchasing the necessary flying equipment. But hey, what’s $300k compared to feeling like you live in the future? The P12 is said to reach a maximum of 46 mph, with a max flight time of around 30 minutes. 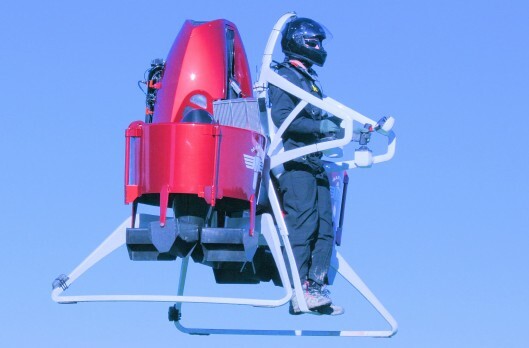 In that time, at a normal speed of around 35 mph, the Martin Jetpack can transport an individual about 20 miles. The highest that this personal flight vehicle can go is 3,000 feet, but it’s recommended that the pilot remain around 500 feet. Why? Well, flying at a lower altitude won’t give enough time for the safety systems to work. This includes a rocket-deployed ballistic parachute. That said, acrophobics need not apply. According to GizMag, the pilot will also need hearing protection, helmet, neck restraint, boots, and a fireproof suit. So who’s ready to fly?